When you are ill, a little tender loving care would be most welcome. Wouldn’t you love to be asked if you still have that terrible migraine headache from yesterday? Or to have someone prompt you to take your prescribed medications on time? Health care is set to be revolutionized with the artificially intelligent chatbots. Delivering better public services and personalized healthcare experiences are some of the things on the agenda with respect to chatbot development in Singapore. The healthcare industry can benefit hugely from the rise of chatbot intelligence. The list of possibilities where chatbots can enhance user experience in healthcare are seemingly endless. Here are some ways in which chatbots can benefit the healthcare industry. 1. 24/7 medical advice and remote diagnoses. For doctors and surgeons, decision making is sometimes a long drawn out process, involving multiple sessions with patients. Giving information on the best treatment options available and the latest research on the particular condition may be a daunting task for most physicians. The data in terms of studies, literature, case reports are humongous and it can be impossible for the doctor to stay updated at all times. Though much more sophisticated than a simple chatbot, IBM Supercomputer ‘Watson’ is a leading example of just how powerful a ‘health bot’ can be and how it could heavily disrupt the global healthcare industry for the better. Watson does have the capacity not only analyzes the patient’s personal health profile, but provides data on the latest clinical research and evidence based treatment options. Possible diagnoses based on clinical evidence and through understanding a patient’s symptoms by having the patient describe them in their own words. 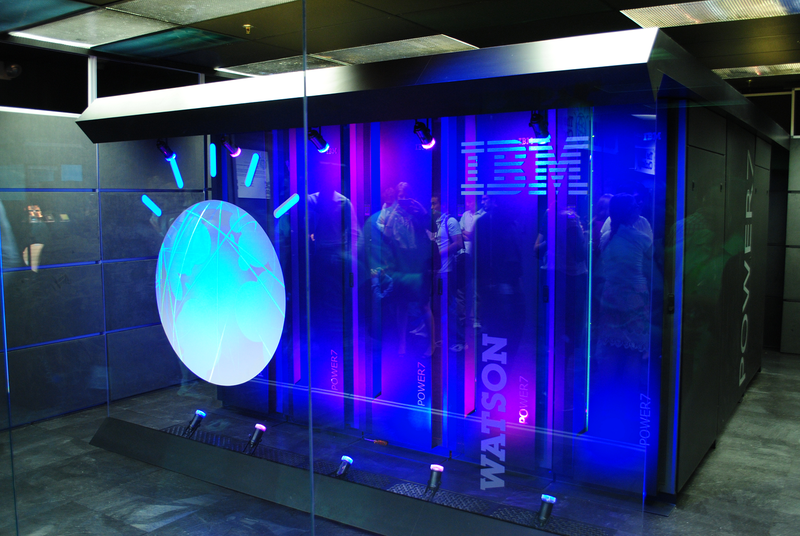 Ranking of treatment options and recommendations are also given by IBM Watson. Decision making on the best available data becomes easier for both doctors and patients alike. It can also take out personal bias or opinions out of decision making. Watson also features a self learning algorithm, which means that it gets better at providing an accurate diagnosis the more it is used. 2. Health insurance assistance: Choosing the best suited health insurance can be very confusing for many. A health bot such as Oscar Health can make that process easier. Just chat up with the bot to get the best quotes for insurance cover for the family along with the features of the policy. In future, more personalized features for buying and renewing healthcare insurance along with claiming procedure could make life a lot easier for many! 3. Psychiatric & Psychological guidance: Mental health is another segment of healthcare that can benefit hugely from healthbot or chatbots. Chatbot development in Singapore in the future should cash in on this opportunity. Studies have found that people are more likely to open up to a friendly chatbot than the doctor. In a casual conversation, the bot can elicit crucial information on signs and symptoms of depression, suicidal ideation and other mental illnesses. 4. Pediatric health: Child care is another segment that can benefit from having chat bots. Parents, especially first time parents, naturally get anxious with any small noticeable change in their kid’s activity, food or the usual fevers and coughs. Chatbots can help reassure the parents and provide valuable information on signs and symptoms, dosing of medications and so on. 5. Lifestyle and Nutritional guidance: Preventive healthcare is already the talk of the town with a host of bots dotting the landscape. Fitness assistants, diabetes support, nutrition and foods, weight loss coaching, calorie trackers are some of the interesting bots available. Bots that help people choose the right health habits to avoid diseases are going to become more and more popular in the days to come.